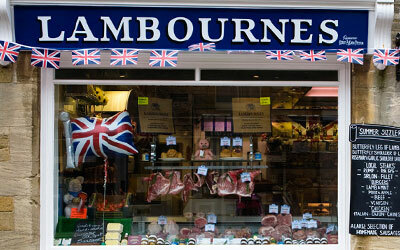 Located within the town are some of the finest food and drink shops in the Cotswolds. 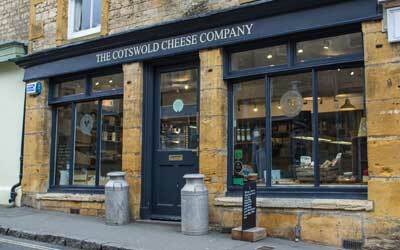 Find out more about what each food and drink shop in Stow-on-the-Wold has to offer by exploring our list below. 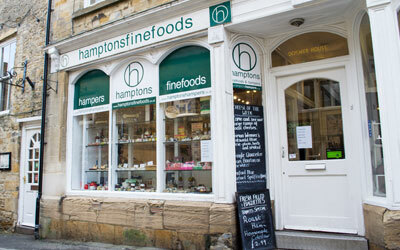 Hamptons offer a wide range of quality foods to discerning customers. The shelves are packed with exclusive and delicious fine foods and hampers. Here you will find our delicious range of handpicked local and regional artisan cheeses as well as your usual European favourites. Roly's crumbly fudge is made while you watch. 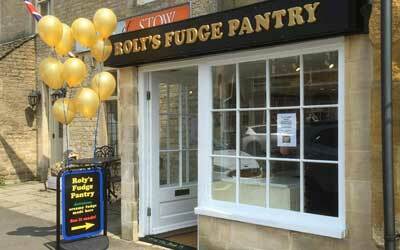 Taste the difference - Roly's traditional recipe fudge is made using only natural ingredients. Stow Town Coffee is a small commercial coffee roastery. They also have an espresso bar, serving fantastic coffee for you to enjoy either for takeaway or to drink in the little coffee lounge upstairs.